My sweet and kind son, Jude, is six. Six years old. Hold that thought. He is currently wishing himself into his seven-year-old sister’s level by furiously wiggling his loose bottom tooth in an attempt to free it from his gums so that he can catch the tooth fairy stealing it from under his pillow. My son loves his kitty (Han Solo). He uses a fake bow and arrow to be a pretend Robin Hood. He plays iPad games, and watches movies like Finding Nemo. He’s learning how to read. I’m a 31-going-on-55 mom. I try hard to understand “they weren’t perfect”, but it’s really darned hard not to exalt the days of Andy Griffith, Don Draper, and the Beatles. I love the clothes, the music, the decor, and the clean television of those days. I long to relive the days of Reagan telling protesters to “oh, shut up!” on live TV. I’m tired of politically correct, overly cautious, whitewashed America. I miss the days when you could call a spade a spade and a freak a freak. When I take my kids to the theatre, I am trying to evoke the old days. The buttery smell of fresh popcorn; the overly large coke. I want to give them the big screen excitement. I also hate showing up late. I need to be in my seat, preferably about perfectly in the middle of the seating, well before the warnings to silence my cell phone and keep my recording devices off. And then I go to the theater with my sweet, freckle-faced six-year-old son wiggling his loose tooth and my fresh-faced innocent eight-year-old daughter and I get to watch THIS YouTube music app ad just ahead of the previews…. Watch it. Tell me it does not infuriate you as a parent. Why am I watching a boy turn himself into a girl using makeup and wigs? Why am I seeing a bra through a see-through top … on a boy? We wouldn’t want our teenage daughters to demonstrate this? Why is the camera spending several seconds clearly focusing on a thrusting crotch? And how do I explain what it means to my innocent kids? I’m not talking about sheltering my kids – I let them watch Harry Potter and we’re talking about Twilight. Jude loves (and I mean LOVES) the superhero movies. Because I DON’T believe in sheltering my kids from good vs. evil and right vs. wrong and my children are able to discuss “scary stuff” and “bad guys.” I’m not ostrich-head-in-the-sand shelter mom. But how do I explain that some people think it’s ok to not only focus on crotches and sexuality but to also change themselves from men into women and say “it’s just who you are.” My son’s response was “but he’s a BOY.” Yes. He is. “So why is he acting like a girl!” How am I supposed to have this conversation? And do you know what upset me the most? That every parent I know would probably answer me with this statement: I GUESS WE JUST CAN’T TAKE OUR KIDS TO THE MOVIES ANYMORE! Why the hell not? 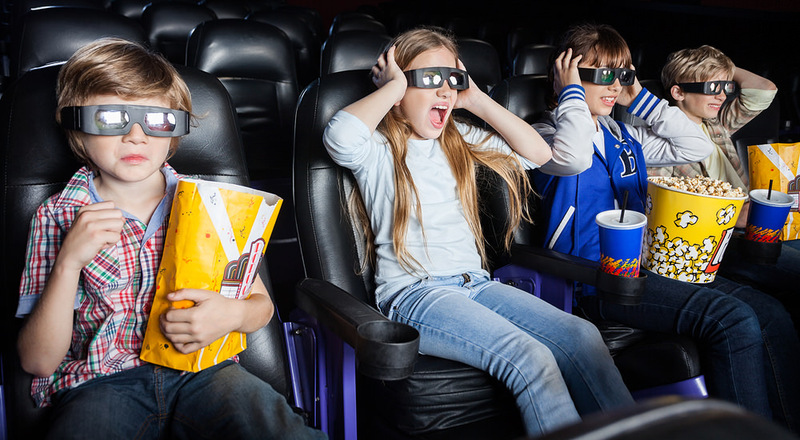 Why the hell am I – are my kids – being denied the experience of the big screen magic to watch a movie? Why should I have to give it up? Why do I have to give up the movies because the “other side” of this idea of “normal ok behavior” is being forced down my throat? Am I allowed to post a pro-traditional marriage advertisement on that same movie screen? Am I allowed to say in public that I am an advocate of traditional marriage? Or do I have to hush my voice? You know the truth. We don’t live in a free country with the right to freedom of speech when you have to hush your voice to state what you believe. Why am I not allowed to go to the movies without having the opposing viewpoint shoved down my throat? Why do my children have to give up the age old excitement of going to the movies so I can ensure they avoid the chaotic confusion caused by seeing this ad? WikiLeaks Promises More Hillary Clinton Surprises!What If the Constitution Is Right?